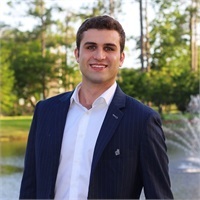 Connor began his financial services career at Northwestern Mutual as a financial intern earning his Florida Life and Health insurance license while attending college in 2017. He joined Jax Wealth Advisors later that year. As a Financial Planning Assistant, Connor has earned both his Series 7 and Series 66 securities registrations currently held with LPL Financial. He graduated from the University of North Florida (UNF) with a Bachelor's degree in Financial Services. Connor has completed the educational requirements to be eligible for the comprehensive CFP® Certification Exam and is currently working toward fulfilling his work experience requirements. In his time away from Jax Wealth Advisors, Connor enjoys volunteering with the Down Syndrome Association of Jacksonville and is a big supporter of his hometown Jacksonville Jaguars.